I took a chance and purchased this unproven product for $139 as an initial backer, long before production began. 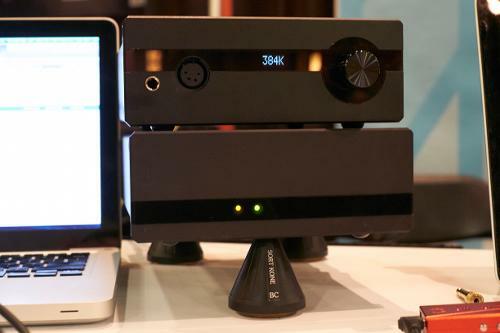 The price was as low as $99 for early backers, which was a screaming deal for a USB DAC. Mine has the blue finish with 720 milliwatts output, they were also available in 450 and 1,000 mW versions in various colors. The Geek Out is an exceptional product. It is made in the U.S. and is sturdy and well made. It took some effort to get this gadget to work on my Windows 7 laptops. There are 4 pages of instructions on Windows driver installation, but the process was quick and fairly easy. Installing new firmware was more difficult, but fortunately after one install it is no longer required. Please heed the warnings about reducing volume before playing music! The Geek Out produces a lot of power that belies its small size. I first played high resolution files, and its absolute clarity and realism was simply stunning, even with modestly priced headphones. It also significantly improves the sound of ripped CDs, DVDs and MP3 files. Disadvantages: Since drivers must be installed on Windows PCs, the Geek Out usually cannot be used with public computers, such as library computers. I have since purchased a refurbished Audioengine D3 for only $119. The D3 doesn't require software installations and updates, sounds great and works fine with any computer. However, the Geek Out sounds better. Update: I recently installed a new driver, again it was easy using the LH Labs website instructions. 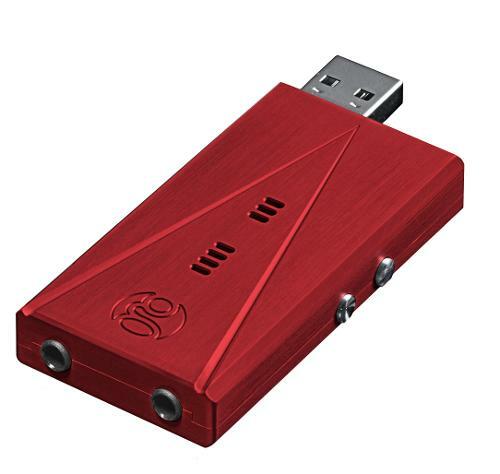 I'm now using a audioquest JitterBug USB filter with my DACs, with this filter and the updated driver the Geek Out sounds better than ever, and works seamlessly with Windows 10 and JRiver Music Center. JRMC settings for the Geek Out are here: tinyurl.com/JRMC-GeekOut Lightly used Geek Outs are occasionally available at echohifi.com at great prices. The Geek Out 1000 (Serial Number 1254) being a USB DAC/AMP is absolutely the wrong solution for my needs, but given its reputation for sound quality and knowing it has a DAP sibling on the way, I had to hear it when I got the chance to borrow miceblue’s. This is all about SQ for me and boy has it been an ear opener, wow. Signature: WOW!!!!!! The Geek Out 1000 has a very euphoric/euphonic, thick, smooth, warm, and textured tube like sound with forward lush mids and a very impressive timbre. The sound stage is intimate, but reasonably airy sounding, very 3D, and realistic. At the risk of repeating myself, the thing that strikes me the most is how realistic and right-sized the instruments/voices sound using this small USB key. I have not heard such great sound quality from my home unit before. Power: It is powerful enough to drive power hungry headphones well such as my LCD2.2, but does better with easy to drive phones like the HD700. The power is sufficient, but not clean like a desktop and distorts if turned too high and gains brightness. It gets shouty at a certain point when turning it up vs. the Mjolnir that just gets bigger until you cannot take any more. I found the volume pretty much unusable past 15 of 100 - even with my LCD2s. Update: It turns out that the device's volume was set at half during the review so the posted volume numbers for the pairings coming from the Windows volume control had to be adjusted by half again. If that is a volume meter on the unit, it is useless given that I can only use 3 to 15 percent of the volume range. To be clear, you have a volume adjustment in Windows and one on the device that both need to be taken into consideration to discuss volume. Setup Time: There is a slight brightness to the Geek Out that can be a bit too much with some songs or before the A class amp warms up. It also requires a driver that is not plug and play so listening sessions have to be planed and set up when away from your typical listening setup. Severe Volume Spikes: The volume control needs work and can spike to ear bursting levels instantly. Given the huge power behind this little device, only small amounts of the volume range can be used already, so instantly jumping to 100 percent volume can do some real damage. The problem happens when you touch the buttons on the unit which overrides the digital volume in Windows changing the volume instantly to 100 percent. Unfortunately, there is no way to see the volume setting on the device or to set a default starting volume. So you are taking a chance every time you plug your HP into the device. Your best bet is to figure out and push the volume down button on the device and to set the Windows volume to zero as well before getting started. Windows Digital Volume: Another add-on problem with having to use Window's digital volume is that it noticeably degrades the sound. To put that into prospective, this nice review is based on the degraded sound quality of using Window's digital volume. It was only after I ran into the volume spike that I played with the player's volume and found that it could sound even better. The Geek Out also uses a digital volume system, but it is based on 32-bits so it doesn't have the same sound quality issue. To be clear, the best sound quality comes from setting Windows to 100 percent volume and then raise the device volume from zero to the appropriate volume. But as you can tell from what I said, trying to do this is dangerous. Sound Quality: Again wow. I really wish that I had the upcoming Geek Out DAP to review to see if I could get this kind of sound on the go. But to get full SQ, please do not use the Windows digital volume - keep it pegged to 100 percent and control volume with the unit. The Windows digital volume takes a lot away from the experience and is very noticeable if you use a quality headphone. BTW, there is a noticeable SQ improvement after a 15 to 20 minute warm up just like a quality tube amp. Sound Quality Perspective: To give this sound quality some perspective, my normal listening is through my desktop Beresford Caiman DAC/AMP ($350) > Mjolnir AMP > Balanced Black Dragon Cable > LCD2.2. The Caiman DAC is obviously the weak link in this chain, but is not an overly significant SQ drop vs. my friend's significantly more expensive PWDmkII DAC > Mjolnir so I have never upgraded favoring headphone upgrades. My desktop setup sounds extraordinarily good, but it is clearly solid state in its performance. From memory, the difference here is that the Geek Out sounds more like PWDmkII > Eddie Current Zana Deux (tube amp) > SE > LCD2.2 which is worlds ahead in sound quality if you like the more musical and analog quality tube sound. While I am sure it will take a back seat this much more expensive setup in an A/B comparison, this is saying a hell of a lot for the $300 Geek Out 1000. Awesomizer: WARNING, DO NOT DO THIS. Apparently there is an EQ function that is supposed to improve the sound engaged by holding down both buttons at the same time. This is how the volume exploded in my ear taking the volume to 100 percent instantly. Getting over the bleeding ears, I tried again safely and with pretty blue light glowing, I couldn't hear a favorable difference A/Bing back and fourth through several songs. The pure sound is great enough so why bother. Noise Issue? : What noise issue, it sounds great out of every headphone/CIEM that I through at it. The noise issue must either be related to particular units or headphone pairings. Tried a variety of headphones and my CIEM and had great clarity from all. However, the CIEM sounds so different that I have to believe that it the Geek Out 1000 secret sauce is changing its frequency response. In my case, this is a positive as it still sounds great, but sounds like a different headphone saving me the cost to buy another to complement its signature. Form Factor: While small size is typically a huge benefit, it could be considered a impediment in this case as it is used like a desktop solution with larger headphones and stout headphone cables. The Geek Out is essentially a USB key with a headphone cable coming out of it. To take the stress off of the USB connector, there is an included short USB extension cable that plugs into the computer allowing the Geek Out to hang over the side of my computer putting the stress on the extension cable and the computer's USB connector. The whole configuration feels like a very heavy headphone cable attached directly to the computer USB port with a few easy to breakaway sections. It is very fragile and doesn't work well with active listening - air guitar, etc. If I get my own unit, I will need to find a way to attach the unit so that the stress is taken off the port as it is too easy now to pull it all apart. 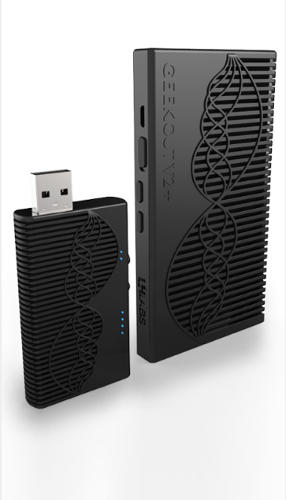 Portability: This tiny device requires USB power and a music source to operate so you are not going jogging or to the gym with it. You are strapped to a laptop or full sized computer or some big hack job to carry it. However, if you are a laptop jockey, this is perfect for you. Headphone Out x2: There are two headphone out jacks that have different impedances with a headphone symbols next to each only wiht the lower impedance symbol bolded. I am sure that there is a good explanation of why this is needed, but in practice, only the lower impedance HO sounded good. The other sounded muddy and didn't scale as well with volume. Heat: Yes this thing gets hot, coffee cup hot. You can hold it in your hand without burning yourself, but you wouldn’t throw it into your pocket after use. But I guess that is expected given the class A amp in such a small package. You can smell the heat coming from it as the device burns in. Pairing: My experience so far is that it pairs best with more analytical signatures and may be too much for darker HP/CIEMs. However, there is a brightness that pokes out here and there so an overly bright HP may have issues as well. I was very impressed with the HD700 and NT6pro pairings and may have to pick one up to retain this fun and euphoric sound. By far, my favorite pairing was my HD700 making it a very musical and euphoric headphone and my least favorite pairing was my LCD2.2 sounding too laid back and thick compared to the Mjolnir. HD700: Listening level 12 of 100. Wow, just wow. It is an incredible pairing playing to all the HD700’s strengths (textures/bass/mids/detail), while adding a strong emotional connection to the music. While the X5 sounded great with the HD700, the Geek Out is bigger and more enjoyable. It sounds like I have a full sized tube amp hooked up dialed in for emotion. My single ended desktop solution the Beresford Caiman sounds wonderful and a little bigger, but much more laid back in comparison so the win goes to the Geek Out for SQ as well as fun. 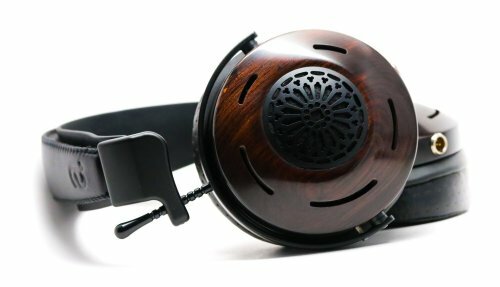 LCD2.2: Listening level 15 of 100. Sounds great, but not the best pairing. I prefer the balanced Mjolnir pairing for the clarity and larger sound stage it provides. However, this sounds impressive compared to the DX90/BH2 amp pairing and easily knocks it to the curb. On the other hand, the X5 brings the LCD2 to life and is closer while slightly less powerful so the Geek Out still takes the win. Hidition NT6pro CIEM: Listening level 3 of 100. Awesome pairing that I am enjoying very much. As you might guess, I cannot use much of the volume scale with a CIEM. However, the NT6pro sounded very different, but in a good euphoric/euphonic way. It was warm, smooth, thick, lush, and big while retaining its detail levels. I have never heard it bass thump this hard before, but never out of control. It is hitting the sub bass with more authority as well. The Geek Out 1000 power has quite a tight grip on the NT6pro BAs making it very impactful throughout its extended frequency range with even more impressive dynamics than normal. Typically referred to as an analytical CIEM this was a big departure sounding more like the signature description for the SE5 so I suspect that the Geek Out 1000 is affecting my NT6pro's frequency response curve somehow. I really thought I would have to get a different CIEM to get this kind of signature change so this opens up a world of possibilities for me. I like it a lot and would like to have this amount of control over the NT6pro’s signature to adjust with different genres and moods. If only the Geek Out was a portable solution like my preferred pairing with the X5. 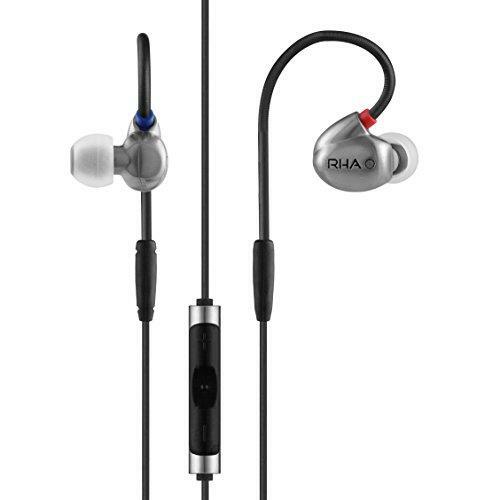 However, it makes me wonder if the Geek Out would pair well with a warmer IEM/CIEM or would it be too much? HE-560: Match made in heaven. This is the best pairing I have heard for both the 560 and the GO1000 giving the 560 more warmth and intimacy while emphasizing its clarity and performance. This pairing was much better than my balanced Mjolnir setup that emphasized the treble too much and made the 560 slightly annoying. Conclusion: I have been considering getting a BH Crack Tube Amp to power my HD700s which is a steal at about the same $300 price. The Crack also gives me flexibility to dial in my preferred signature with tube rolling. However, I really like the simplicity of the Geek Out 1000. If I wasn’t close to getting the Crack, I would probably pick a Geek Out up to hold me over until their DAP is out. But the Geek Out isn’t any more portable for me than the Crack so its inherent advantage doesn’t work for me. The one advantage that it does hold for me is that the Crack is built for high impedance HPs so it may not work with my CIEMs. I wish there was an easy way to hear it side by side with the Crack to see the difference in quality given that this is also a DAC which makes a difference. Regardless, I will be waiting for an opportunity to hear their new Geek Out DAP as soon as it is launched. Update 6/8/15: My will power faded when I saw the GO720 come up on MASSDROP so I grabbed one and have never regretted it. It is so good, that I am considering upgrading to the V2 when it comes out after hearing the rave reviews of how it improves the SQ even further. It is my best pairing with my HD700. The NT6pro is an awesome too, but I don't like being tied to the desk with my customs so I don't use it as often preferring the flexibility of a DAP. The one weakness I found over time was the sensitivity to laptop noise with my inexpensive ASUS laptop. Have not heard this problem on other laptops so it may be an isolated case with mine. Although, others have added the Schiit Wyrd USB interface to their chain with nice results. Apparently, the GO V2 fixes this issue. I should mention, that I have no issue with my desktop USB ports that is my go to listening for the GO720 and only found the laptop issue when going to a local mini-meet using a seldom used laptop. Pondu, Larry Ho, jk47 and 1 other person like this. Can you use the Geekout1000 with another amp ? Yes, but it doesn't have a dedicated line out so there might be some noise coming from the headphone out ports. While I have never tried it myself, GO owner have reported good results coming out of the 47ohm port. For me, there is no reason to do so as the a class amp is the best part of the GO and the reason I purchased it. If I was just looking for a source for my amp, I would probably just use my DX90 or X5 and gain my music library for better usability. The only reason that i am hearing people using another amp is to avoid the horrific volume spike issue. For me, I just add caution to avoid that by adding a couple additional steps when setting up. updating to version 1.5 fixes the volume problem entirely, I believe. High Quality, High Res, High Output, High Satisfaction, Low Price. Cons - Some heat. Unable to use with USB OTG + External Power on Android. The LH Labs Geek Out had a lot to live up to. A good 7+ months ago, the Geek Out started as a concept. 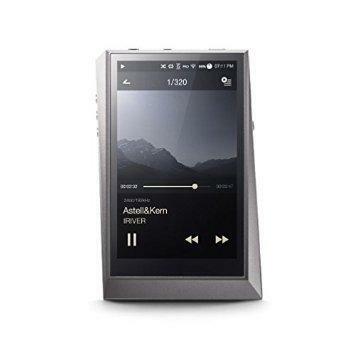 This concept was to bring a high quality audio experience into a small and affordable device. Light Harmonic already created and sold the Da Vinci DAC, an award winning $20,000+ DAC, but they wanted to take a chance and bring a more affordable device to the masses. Kickstarter crowdfunding was used to successfully fund into the project. As an "investor" into the Geek Out, I felt connected with the project. I and the other backers wanted it to succeed. We offered advice that changed the device into a better one over time. We told LH Labs what we wanted, and they listened. I got in as an early backer, and got an incredible deal on an incredible device. I kick myself for not getting in earlier and getting an even bigger discount. Even at retail, the Geek Out is still a steal. I have the Silver Geek Out 1000, and this sucker is powerful. It is easily as powerful as my 1000mW Aune T1. The GO is being powered from USB alone, where the T1 has a giant power supply that needs to be plugged in. The Geek Out also happens to support 96khz+ and DSD, which the T1 can't do. The GO also sounds much better, and does it for the same price. The device itself is smaller than a deck of cards, is lightweight, and has a beautiful aluminum shell. A LED alignment shows you physically on the device what bitrate your music is being played in. The two outputs offer different resistance modes 0.47ohm and 47ohm, which can be used simultaneously, or to better match your equipment. The GO is so powerful, that I normally run it on the 47ohm line out most of the time. Although I no longer have it, I'm sure the GO 1000 could easily support the HE-500 and most other demanding headphones as well. Sound quality is stunning. "I'm hearing things I never heard before" is so cliche in an audio review, but it is 100% true here. Soundstage, imaging, bass tightness, clarity, power, a black background, impact... it's all there in spades. I find it more enjoyable than my old Audio-GD 11.32 unit, which was no slouch in sound, and was $350+. The GO also has this unique ability to "change" the sound signature of some headphones, yet it doesn't color the sound and remains neutral. Let me try to explain this, because it might not make sense at first. Some headphones that I have previously found "a little hollow" or not as enjoyable as I liked, now seem to have come alive and gotten better. Maybe it is from the increased detail this DAC gives, but it can really throw you off guard and question your opinions of your headphone and speaker gear through older DACs and amps. I think that's awesome, and its an intangible quality that wasn't expected. Setup on Windows 8.1 was quick and easy. The LH Control Panel is simple and shows you basic info and volume control. Foobar2000 and the LH ASIO driver played with no issues. I was unable to get the GO working on my Cyanogenmod 11 Nexus 5 Android Phone with USB Audio Player Pro however, which was disappointing. I connected the GO via a USB OTG Y cable, and provided it external battery power with 2.1A. It powered the device, but neither CM11 nor UAPP was able to initialize it. Hopefully this can be fixed or added in the future. My Aune T1 worked flawlessly with CM11 and UAPP. The GO would be the ultimate DAC/Amp for me if it could work off my Nexus too. I'm blown away by the GO. It draws me in, and makes me want to listen to my music more. Mission accomplished LH. Well done, and thank you. Keep bringing this quality and pricing around, and I will continue to purchase them. Just buy one already. I'm really excited at what the Geek Pulse and Geek Wave will bring when they arrive now. tomscy2000 and Light - Man like this. does this work with ps4 and other box like WD live hub? Totally agree with you, this thing is an excellently sounding DAC/Amp combo and I absolutely love it (got the GO IEM 100 as I don't listen loud, but both are identical except the GO 450's higher power output).